Straight Carignan wine from old vines grown on slate soil. This wine is continuing the Vd’O collection “Varietals de terrer”. 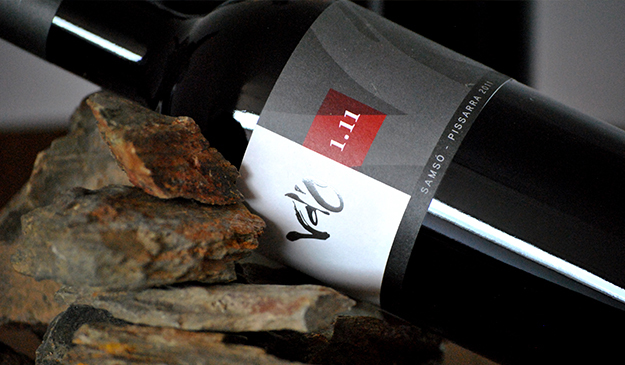 It is made from the best grapes from two plots: “Vinya de l’Avi” planted in 1946 and “El Roqué” planted in 1969, with an altitude over 200 m above the sea level and oriented to the southeast. Elegant bouquet with ripe black fruit expression, graffiti and balsamic notes, all surrounded by the minerality of its slate terroir. On the palate, silky and enveloping beginning, round tannins and lively acidity, shows Carignan elegance on it soils, leaving a long and sweet ending.